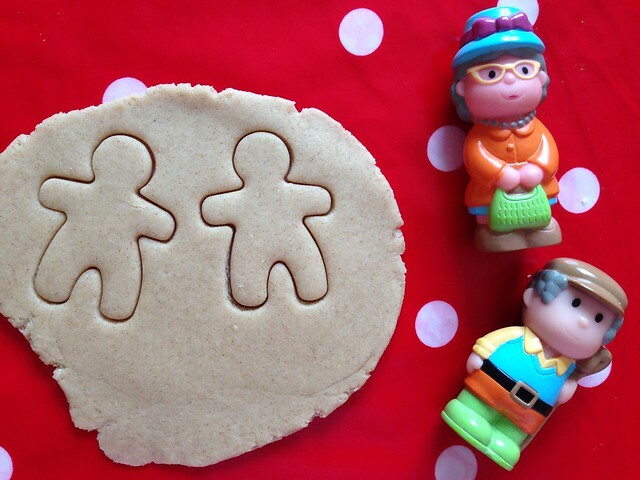 Bee's Circus: The Gingerbread Man. 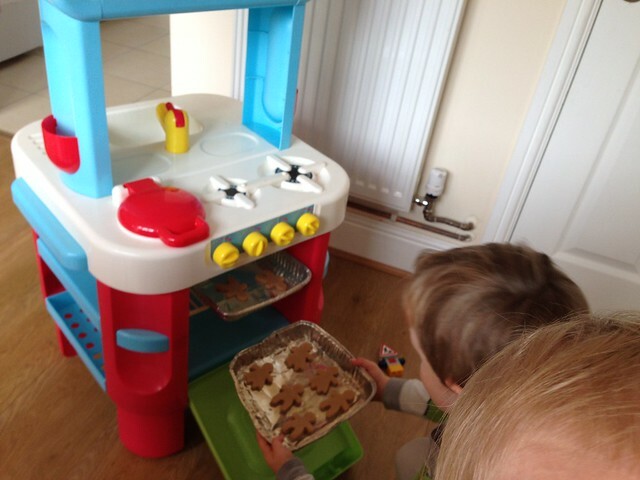 My boys are obsessed with The Gingerbread Man. Legitimately, absolutely obsessed. Though, not as obsessive as they are over Will I Am's "I like to move it" from Madagascar, but that's a story for another day. They demand it to be read at least three times a day, and join in, Joshua screeching "Gin-gin Man!" and giggling like a hyena. I love the idea of bringing a story to life, and sensory playdough is on our Spring Bucket List, so I searched Punterest for ideas. 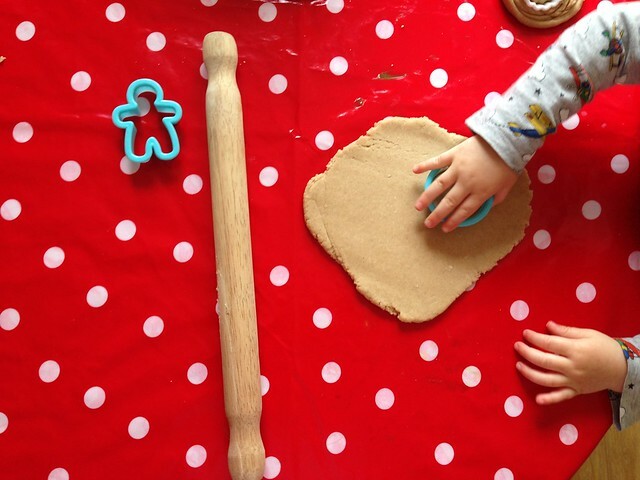 I made this gingerbread playdough recipe from The Imagination Tree, I have always managed to fail at making playdough but this is the second recipe I've from this blog and they both worked perfectly. 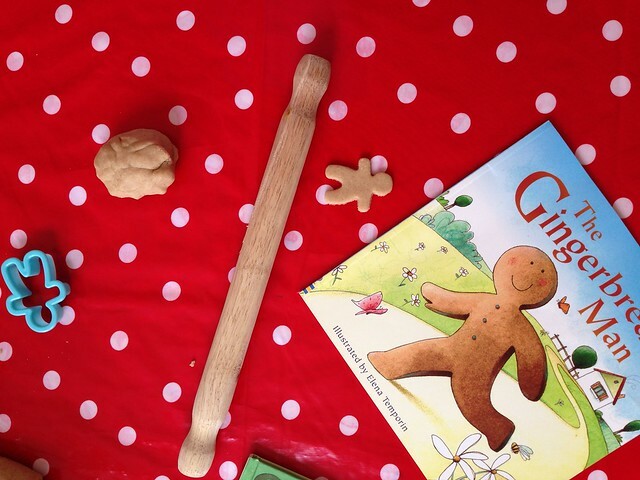 I set the boys up with some shaped cutters and rolling pins, and read them the story while they worked. Daniel started repeating lines from the story while he played, which was adorable. 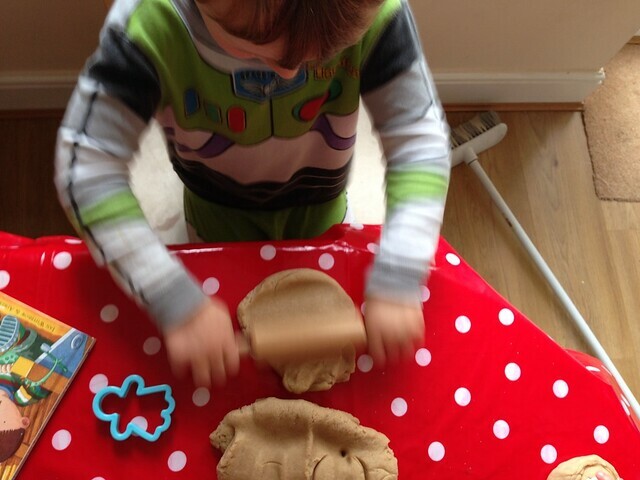 I used HappyLand characters to extend their play, and Joshua had fun imprinting them into the dough. 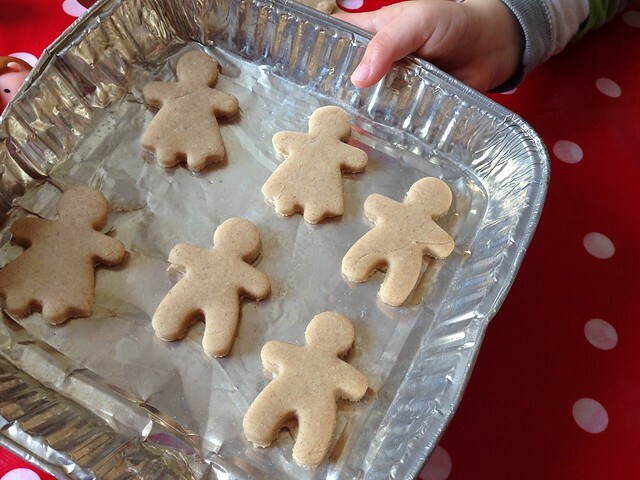 Once their minds began to wander a little, I grabbed some old baking trays and the toy kitchen so they could bake their gingerbread, which they both loved. We'll definitely busting this out again, it kept them amused for quite a while! new follower. I hope you haven't quit blogging. Hope all is well. Catch the Moment 365. Week Twenty Five. 25/52 & Joshua's Construction Party. 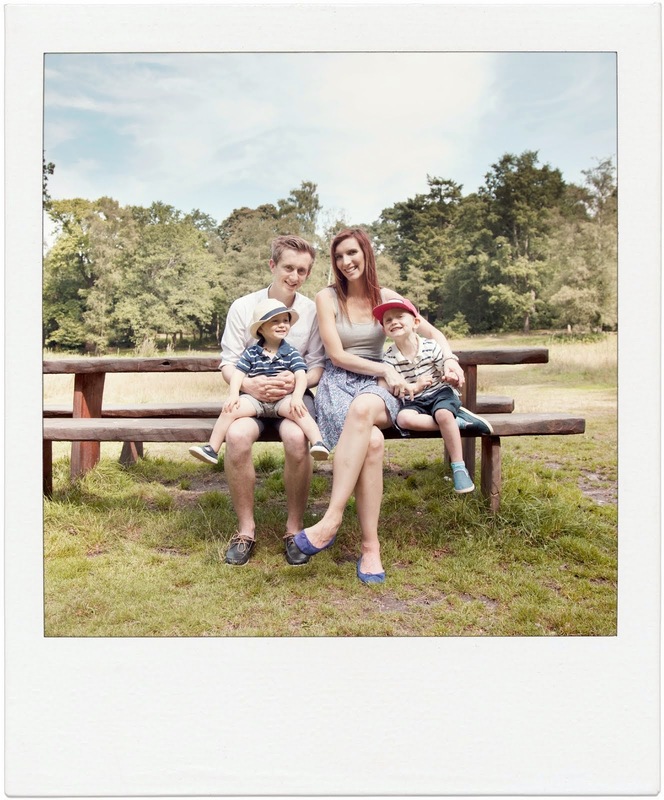 A letter to my two year old. Ten on Ten. June 2014. Catch the Moment 365. Week Twenty-two.